It’s nice to use Angel stamps on cards and letters, especially at Christmas time and for Christenings|Baptisms. 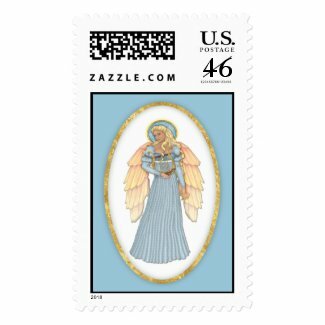 There are many Angel postage stamps available at Zazzle.com so you don’t have to rely on the Post Office. 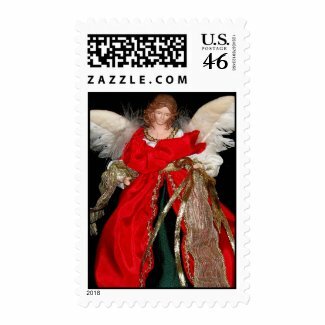 My husband’s Angels are available on postage and look beautiful on all your cards and letters. 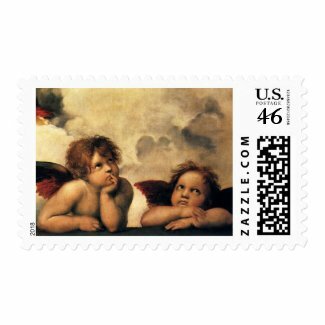 They are officially sanctioned by the Post Office so you won’t have any problems using them. Just a little hint for you to save money too. 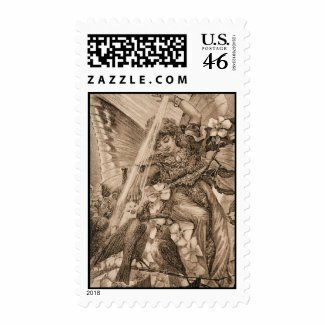 If you go to Zazzle you can sign up to be notified of sales and they often have sales that will really make your purchases affordable. 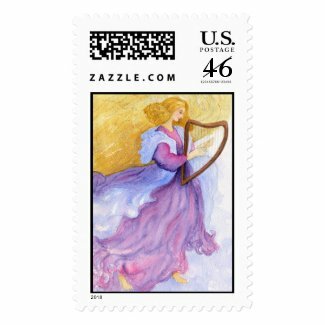 The stamps are higher than they are at the Post Office but they are much more beautiful. 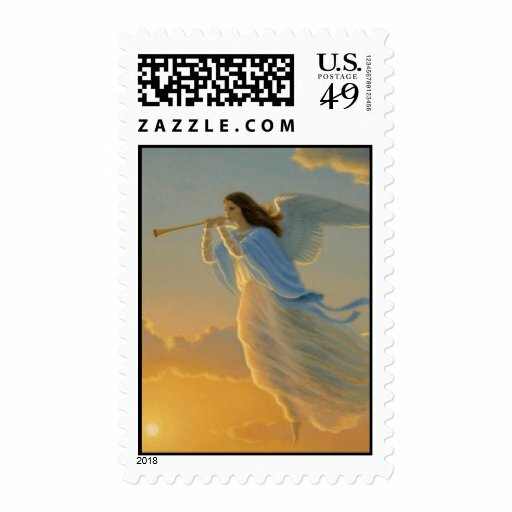 However, when the sales come around at Zazzle, your Angel stamps will be very affordable! 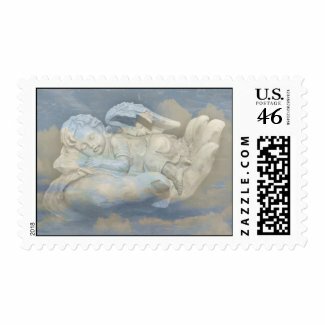 Here are some other renditions of Angel Stamps to use. 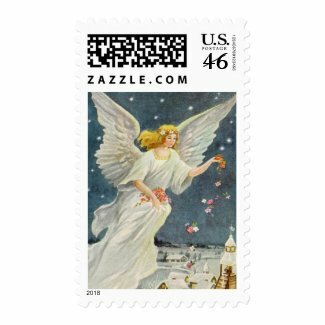 The Angel postage stamps come in many styles of Angels so there is bound to be a style that will go with your card. 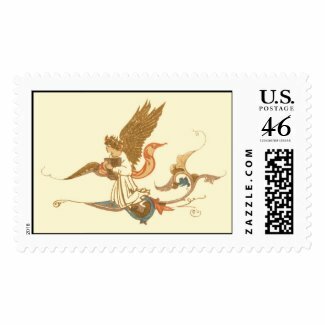 There are modern Angels, cupids, and traditional Angels to choose from. My husband’s Angels are also on other products! There are Christmas cards, greeting cards and cards for Baptisms and Christenings. And there are prints, totes, Tshirts, and even little baby onesies. Also Christmas ornaments and mugs and playing cards. 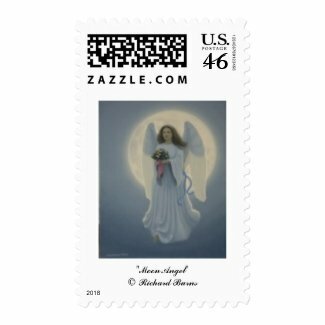 So if you want other Angel products and not just Angel stamps just click on the link below to see more.